May 17, 2016 11:20 am. The Victoria Derby kicks off the four day Flemington leg of the Melbourne Spring Carnival. The Derby headlines the day which also includes The Coolmore, Mackinnon Stakes and The Classic. From 1855 to 1971, the race was a 2400 metre chase, but the extra 100 metres was added in 1973. The pretty-named Rose of May was the first winner of the race, 160 years ago. One of the toughest races to win, only won horse has saluted more than once, with Fireworks storming home in 1867 and 1868. The Derby is one of the most popular days of the Melbourne spring racing carnival. You will routinely find 100,000 punters or more packing the stands at Flemington for the event, as 16 runners attempt to claim the derby. Pointers to this race include the group two AAMI Vase, with last year’s winner Tarzino (2015), Efficient (2006), Plastered (2004), Helenus (2002), Blevic (1994) and Raveneaux (1986) all coming through the Moonee Valley race. Efficient nabbed both races in 2006 and went on to win the Melbourne Cup the year after. There are no odds currently available for the 2019 Victoria Derby. Check back closer to the race date for detailed markets. The Victoria Derby is one of the most popular races on the Australian thoroughbred racing calendar and there’s no shortage of action on the group 1 event. The team at Horse Betting has compiled comprehensive reviews of our trusted online bookmakers which all offer markets on the Victoria Derby. Champion jockey Damien Oliver is no stranger to success in the Derby. Legendary trainer James Scobie claimed a remarkable eight Victoria Derby’s, the first in 1900 and the last 37 years later in 1937. The great Bobbie Lewis had plenty to thank Scobie for, piloting five of his winners home in a glittering career. Damien Oliver has won the race five times. Cups king Bart Cummings has trained the winner of the Victoria Derby seven times, with the last of his wins coming in 1987 with Omnicorp. In modern times Lee Freedman is the pick of the trainers, having won it three times since 1983, with Benicio (2005), Portland Player (1996) and Mahogany (1993). David Hayes has also been a prominent trainer in the great race, with Kings High (1988) and Kibbutz (2007) giving him two victories. Here are the leading trainers and jockeys in the Victoria Derby with stats accurate from 1983 onwards. In a brutally run Victoria Derby, Darren Weir and John Allen combined to get Extra Brut home. The leaders went very hard early doors and Extra Brut was content to let those at the front run themselves into the ground. As they wilted at the top of the straight Extra Brut pounced, claiming the lead at the 200m before fighting off all comers to record a famous win. Ace High showed why the Sydney form was so well respected in the lead-up to the 2017 Victoria Derby. 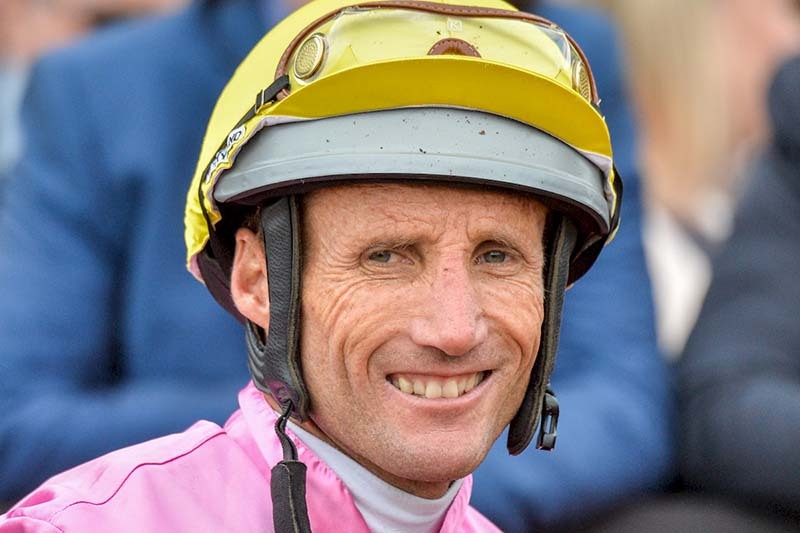 The David Payne-trained three-year-old was positioned out three wide by jockey Tye Angland, but its class prevailed as it powered away for an easy victory. Sully battled on well for second after sitting just off the pace set by Weather with You and Astoria finished off well to continue the strong Sydney form. James Cummings continued the strong tradition of Victoria Derby winners when he lined up Prized Icon to victory at Flemington. The three-year-old had been consistent throughout its career which included a placing behind Yankee Rose in the Spring Champion Stakes and it continued to excellent form by Sydney-trained horses at the Melbourne spring carnival. What a run it was from the favourite. Piloted home by top hoop Craig Newitt, Tarzino stormed to victory over Etymology and Kia Ora. On the home straight, he came down the outside and streaked away from the field to salute. Another D. Oliver special, Preferment, an $8.50 chance, gave the gun jockey his fifth Victoria Derby, fighting off a superb challenge from Bondeiger ($11) and Nozomi ($41). The son of the all time great Zabeel, Preferment knocked over the $2.45 favourite Hampton Court, who did not fire a shot. A three year old bay colt that cost just $4000 came home to win the 2013 incarnation of the race. A feel good story, Polanski never looked like losing on the way home, fending off Complacent by three lengths, with Thunder Fantasy third. Favourite Its A Dundeel was rolled by a Fiveandahalfstar effort from a $25 outsider. The Anthony Cummings trained Fiveandahalfstar beat out Super Cool and Rawnaq to give Oliver yet another win in the big race.